Amnesty International Wits is circulating a petition around campus demanding Wits Vice-Chancellor Adam Habib provide all Wits students and workers with free sanitary pads. Amnesty International Wits has launched a campaign demanding vice-chancellor Adam Habib to make sanitary pads freely available to the entire Wits community. The campaign is called #WorthBleedingFor and elaborates on wider concerns around issues of exclusion and how they impact poor women and university workers. The campaign is also demanding that government honours its 2011 promise to provide free pads for women. The first demand, which the humanitarian organisation is currently petitioning to the vice-chancellor, is to have sanitary pads made freely available to all students and workers on all Wits campuses and residences. The second demand is directed to the Department of Women and the Department of Health, calling for government to recognise that sanitary pads are a necessity and therefore must be zero rated so that “no tax is levied on women for a bodily function over which they have no control”. “We live in a country were inequality and poverty are high and women are the most affected by this,” said Amnesty International Wits Treasurer and Wits law student, Violet Molefe. Molefe pointed out that women continue to be marginalised in post-apartheid South Africa just as they were during apartheid. “Women are still the most vulnerable people in this country,” she said. The lacklustre manner in which government attends to issues affecting women is at the centre of the grievances outlined by the humanitarian organisation. “The core issue here is government not taking seriously issues affecting poor women,” said Raees Noorbhai, Amnesty International Wits chairperson. The campaign also aims to raise awareness and remove stigma around menstruation so that South Africans can comfortably talk about issues affecting women’s health. The organisers said solidarity is one of the most critical aspects of the campaign and they are encouraging the entire university community to sign the petition. Male involvement is not problematic just as long as it doesn’t centre the narrative on men, Noorbhai added. The Wits Gender Equity office and the Transformation and Employment Equity Office are already on board. 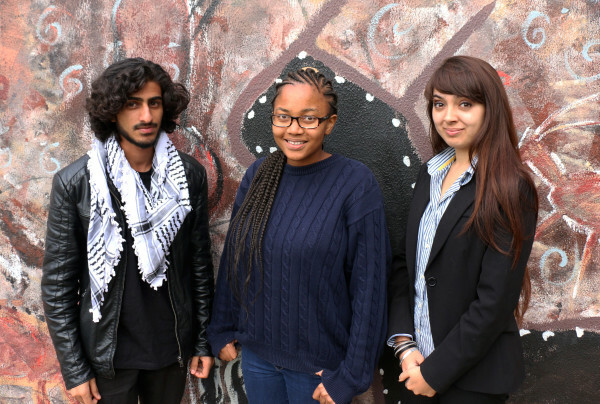 “We’re only waiting for Habib, now,” said Amnesty International Wits campaign organiser Nadia Mansoor. The campaign runs for two weeks. The petition is currently circulating campus and collecting signatures which will be delivered to Habib next week Friday, April 15. A march from the FNB building on West Campus to Solomon Mahlangu House, recently known as Senate House, will take place on Thursday, April 14.